Roland & Shimmer Make Their Singing Debut! 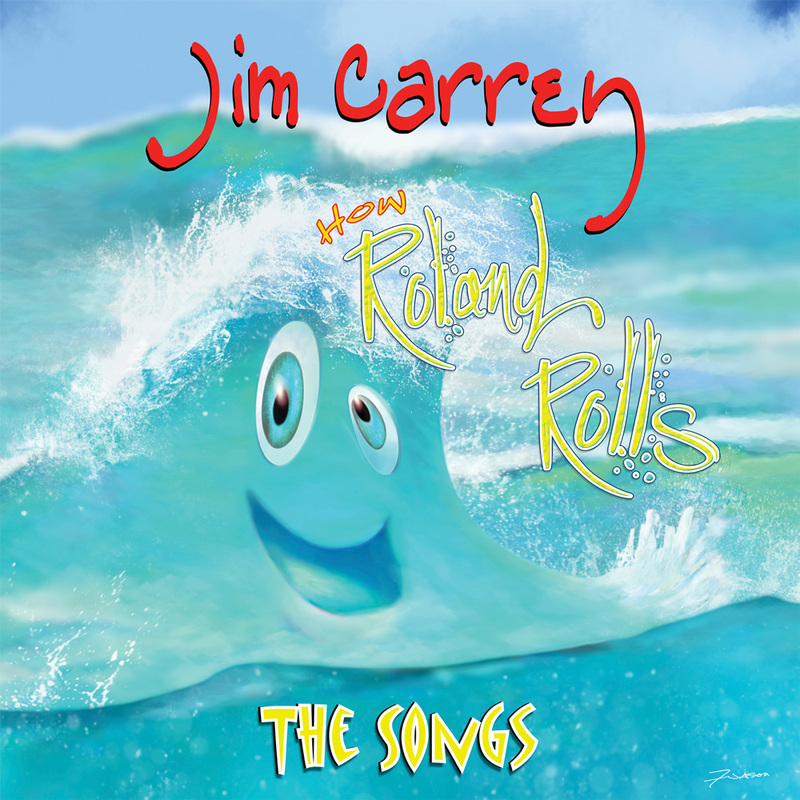 Check out the groovy songs on Roland’s new EP, “How Roland Rolls: The Songs” available now on iTunes and www.howrolandrolls.com. 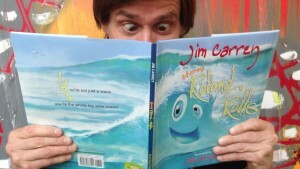 As a mighty, yet gentle and humble wave, Roland sings with great gusto! And Shimmer’s voice on her ode to love, “I’m All Yours (You’re All Mine) … WOW, WOW, WOW! I thought that Roland’s and Shimmer’s voices would sound really watery, but they are so clear! And, Roland and Shimmer are bi-lingual: they sing in English on the EP! Maybe they will sing in their native language of Oceana on their next CD. Smiles. 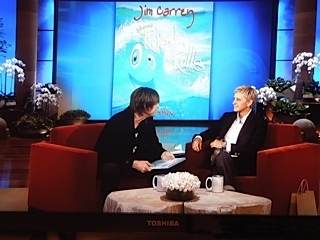 Last night, Jim taped The Ellen DeGeneres Show to promote next week’s release of “How Roland Rolls.” Here are a few exclusive sneak peek photos from Jim’s appearance. 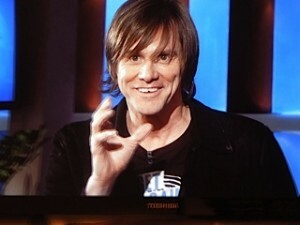 The show airs Monday 9/23 – check local listings. 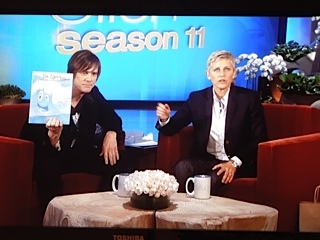 Thank you Ellen for your support of Roland! 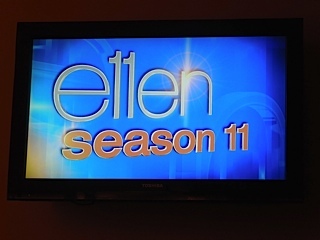 Show your support — watch Ellen’s show! Ellen introduces Roland to the world! 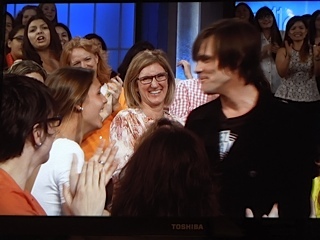 Jim and Ellen talk about why Jim created Roland. Hey! What is Lloyd doing here?! Jim starts shooting “Dumb & Dumber To” tomorrow! A little shameless promotion is a good thing! Jim tapes “Ellen” today; Episode airs on Monday in Los Angeles! 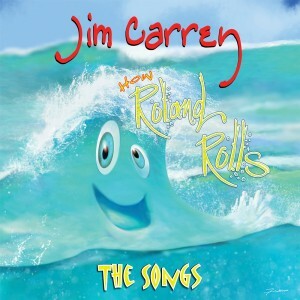 Jim will talk about “How Roland Rolls,” “Dumb & Dumber To” and more! 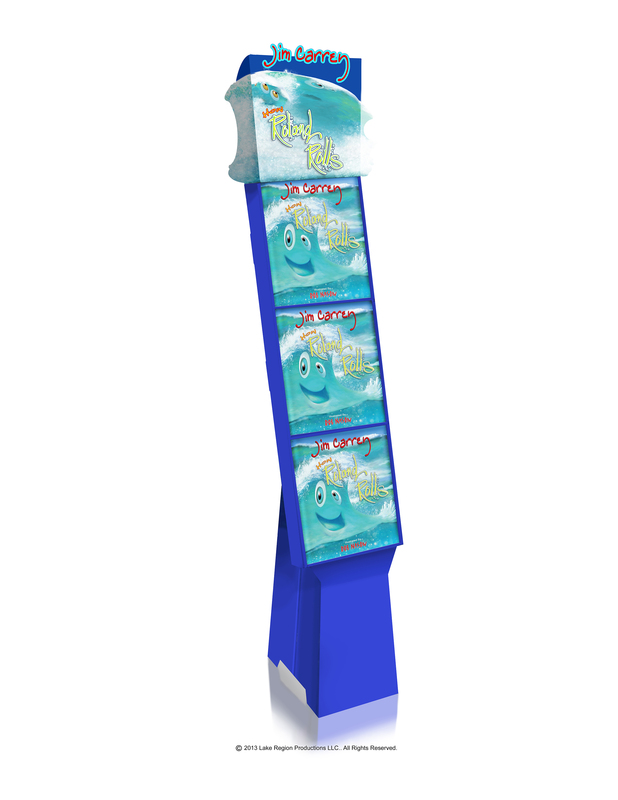 Look For This Display In Your Local Bookstore! The next time you visit your local bookstore, look for this “Roland” display. We’re delighted that hundreds of bookstores stores across the U.S. are using the display to introduce Roland to all of his soon-to-be fans. Roland is especially happy to meet so many news friends and to visit so many places he’s never been to! Thanks for your support of Roland! Roland Was Seen Last Night! 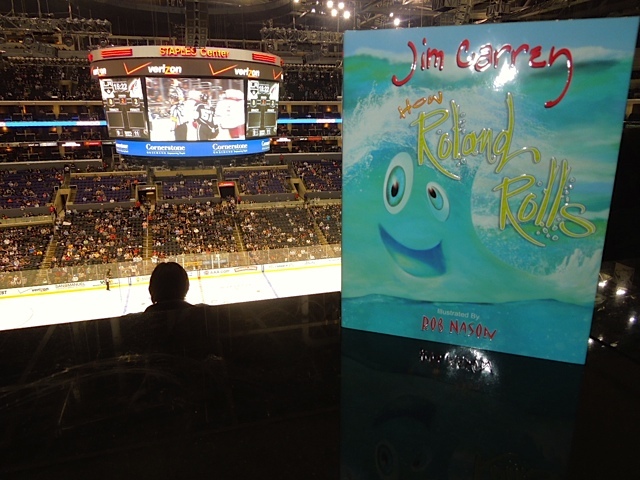 A member of the Seahorse Ensemble, one of Roland’s favorite music groups, reported that Roland was seen at the L.A. Kings / Phoenix Coyotes hockey game last night at the Staples Center in Los Angeles. Roland likes ice! It’s his solid form after all! Coincidentally, Jim was at the game too. We took a photo of Roland, but he’s pretty slippery when it comes to having his photo taken at events! He’s shy around so many people! 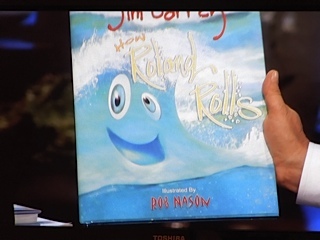 BTW, the Seahorse Ensemble performs a lovely Chamber music piece in the “How Roland Rolls” e-book, available online November 19! If you’re a fan of 18th century classical music performed by seahorses, you’ll love it! 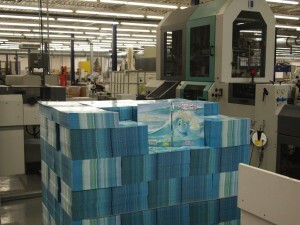 “How Roland Rolls” – Rollin’ Off the Presses! 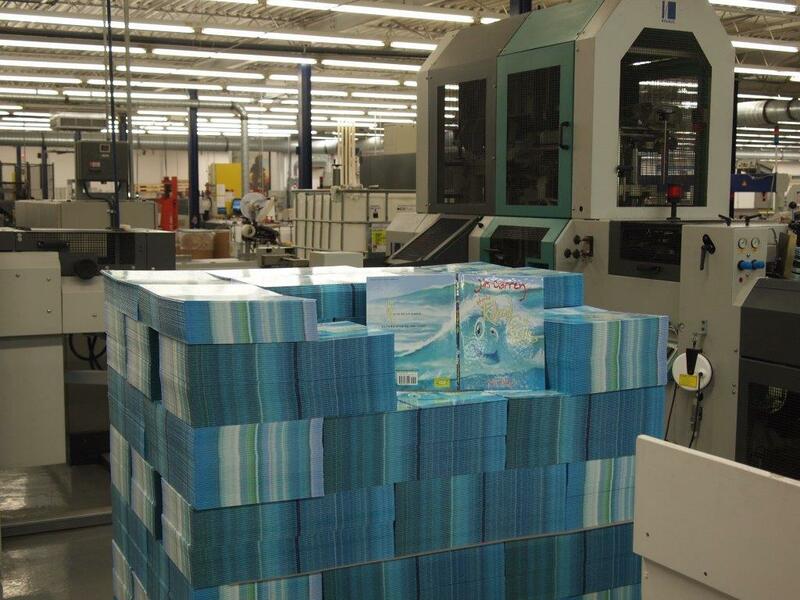 We are happy to share the news with you that “Roland” is rollin’ off the presses and making its way to retailers and e-tailers across the United States in time for the official publication date of Tuesday, September 24. Please pre-order your copy today! Thank you! Welcome to the “How Roland Rolls” blog! Check here often to see what’s new in the Rolandsphere!